Tubs are washed automatically according to food industry standards. Water recycling results in five times less water usage compared to manual, high-pressure washing. The system can receive tubs automatically from the infeed section. Automation greatly reduced the need for forklifts. The process is gentle on tubs, meaning lower costs for repairs and replacements. The system is fully automatic. No operator is required most of the time. Requires less floor space in the cleaning area. 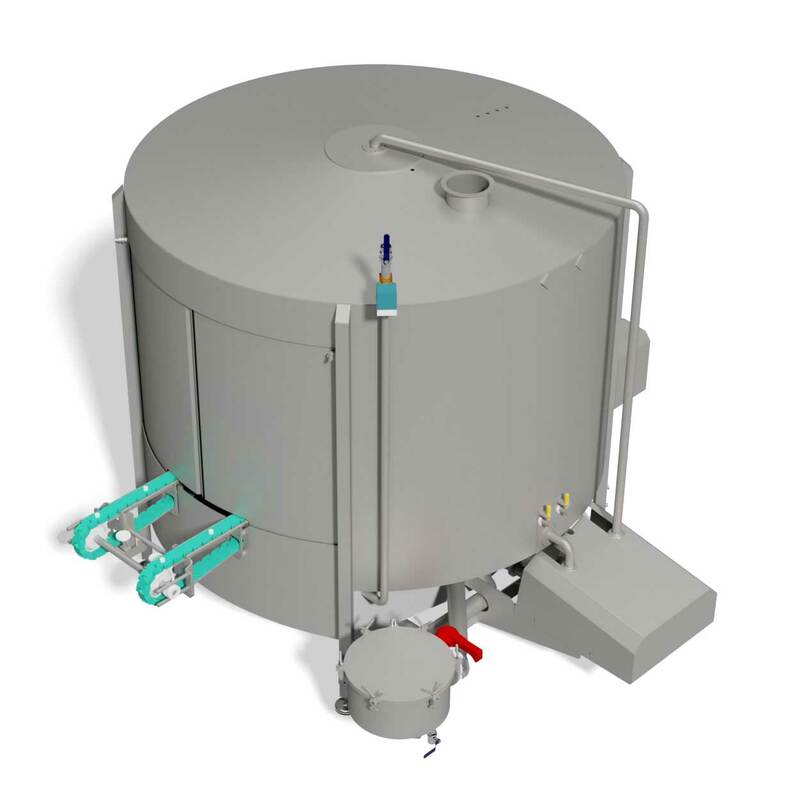 Skaginn3X automatic tub washing system is composed of a customizable range of cost-effective modules, from standalone machines up to complete systems. 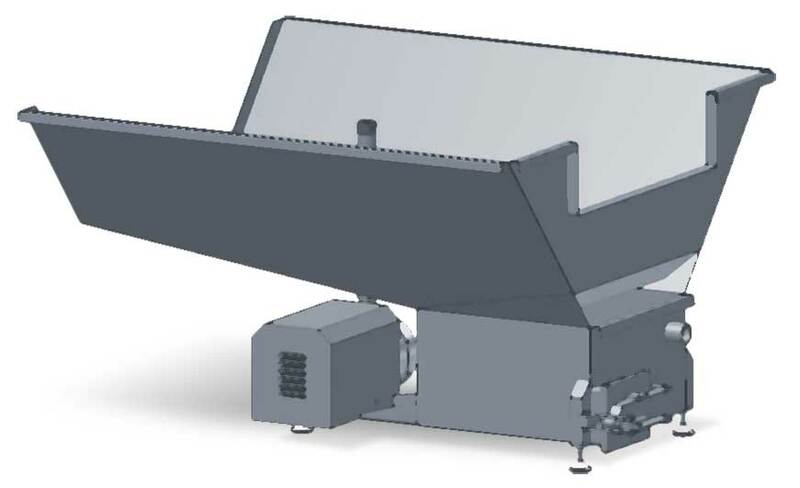 The system meets all hygiene standards required in the food industry and is energy efficient, including water recycling, which also reduces operational costs. Our concept also saves space in challenging situations. 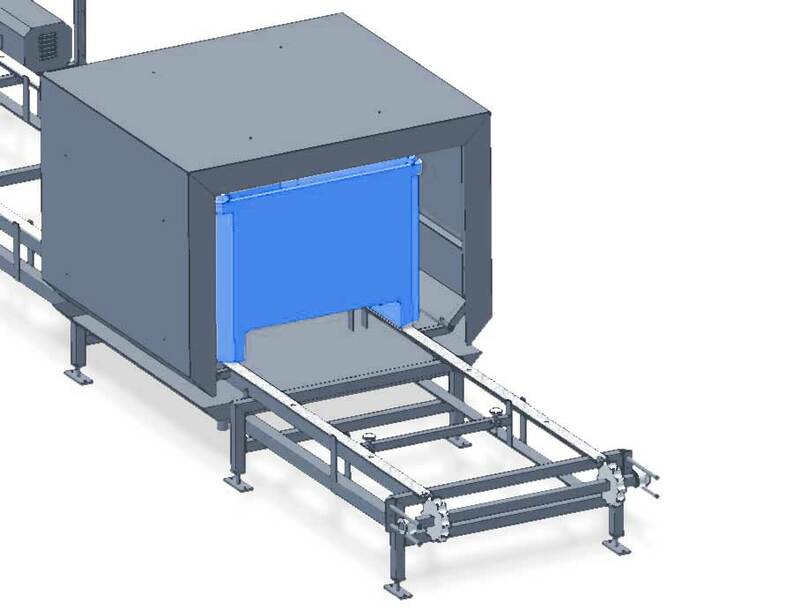 Labor requirements are considerably reduced, as buffering and washing are combined in a fully automated solution. The system can handle most standard tub sizes, and its flexible design results in a high capacity system that also saves on space. Water and energy consumption is five times lower than conventional high-pressure washing. The system is fully automatic, which has several benefits: no need to manually clean tubs and limited exposure to forklifts reduces costs associated with replacement and repair. 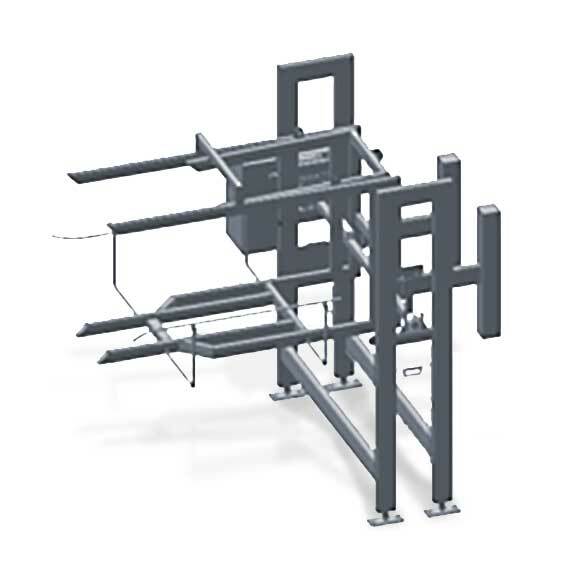 The advantage of the system is that it can integrate into most processing lines and can be set up as an integrated part of an automatic infeed system. 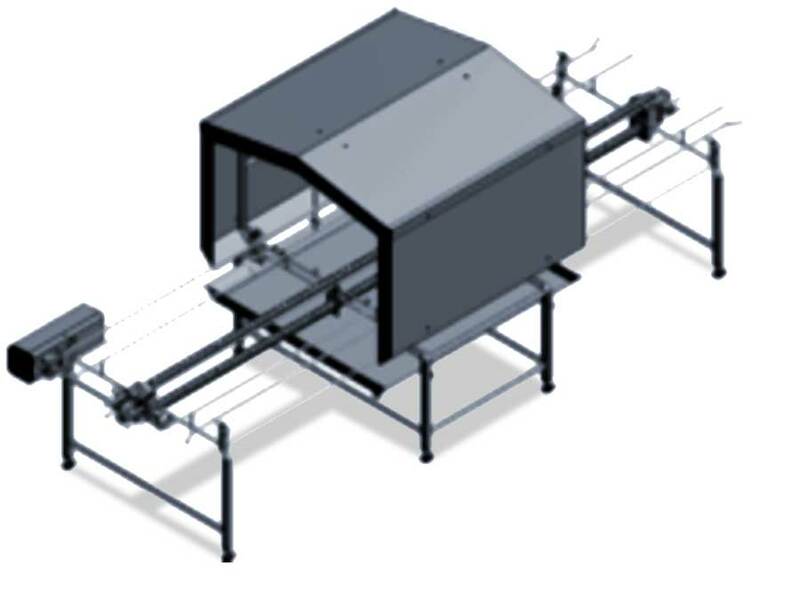 When the infeed and washing system is set up together, the empty tubs can be delivered automatically from the tub tipper to the washing system, where the tubs are washed and delivered clean for storage. Turns tubs upside down or rightside up before and after washing, and can turn them on end, in reverse or at an angle. 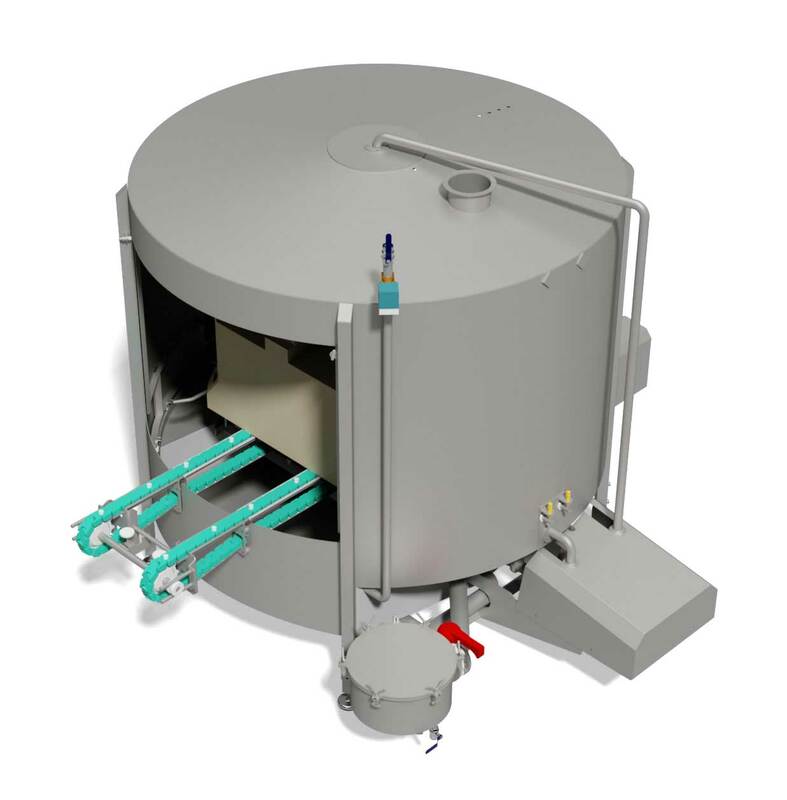 This module performs simple rinsing of the tubs on the inside and is designed to be installed under the turning machine's delivery point. The foamer coats the tubs with a pre-wash rinsing foam followed by a brief soak. The rinser is designed to rinse tubs inside and out before entering the washer. The tub washer performs efficiently with 360° washing and five programs, each with different washing times. This module applies a sterilization fluid to the tubs after they’ve been washed.